The growth rate for jobs in the solar industry last year was almost 20 times higher than the national average employment growth rate in the U.S., according to a new report out from non-profit The Solar Foundation. In 2014, 31,000 new solar jobs were created, delivering a U.S. solar workforce of 173,807, which was 21.8 percent bigger than the U.S. solar workforce back in November 2013. The solar industry now represents 1.3 percent of all jobs in the U.S., making it larger than some fossil fuel sectors like coal mining. And it grew faster than some growing fossil fuel industries did last year, adding more jobs in 2014 than both the oil and gas pipeline construction industry, and the crude petroleum and natural gas extraction industry. Over the past four years about 81,000 solar jobs were created, showing growth of 86 percent over four years. These are jobs like installers of rooftops solar systems and ground-mounted solar systems, solar sales and marketers, and corporate jobs at big American solar companies like First Solar, SunEdison, SunPower and SolarCity (added 4,000 jobs in 2014). Two huge solar panel farms just went online in California, which employed about 400 workers each. 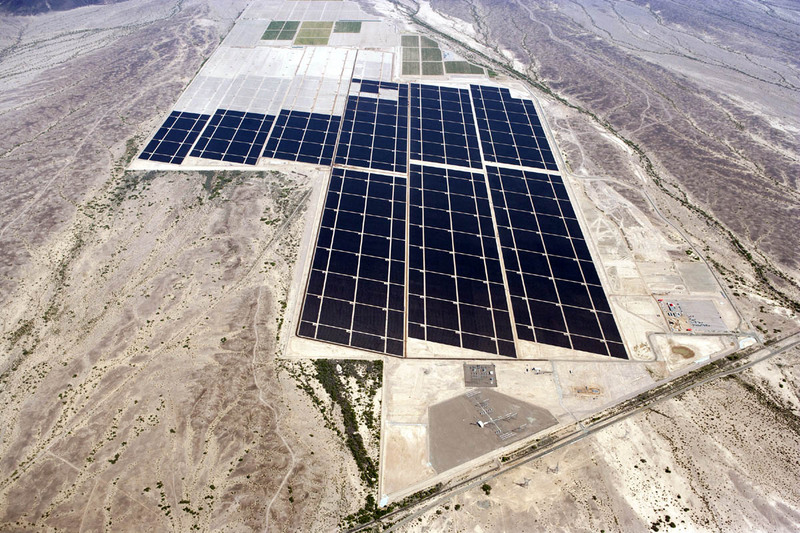 For the first three quarters of 2014, more than one third (36 percent) of the new electricity capacity built out in the U.S. came from solar systems, according to a report from the Solar Energy Industries Association. This year the solar sector expects to add another 36,000 jobs, showing even more growth in 2015, says The Solar Foundation. At the same time, the solar industry is worried that if the federal incentive, the investment tax credit, is lowered (it’s set to expire but could be renewed) in the near future, it could curb some of the recent growth in the sector. I don’t want to go all black-turtleneck, but wind and solar could re-write the software of American life. After all, when a fuel is free and endless, it can alter the broader economics of production and consumption, as well as settlement patterns. That’s not to say that the production infrastructure is free, but oil drilling and distribution are also very capital intensive. Solar doesn’t even have moving parts. When you add in ubiquitous wireless internet, you get a coordination system which optimizes distribution not just of power, but of products and people. , You get a game-changer that’s difficult for petro people to even understand. There are only 13,369,769 jobs in the U.S.? Perhaps you meant to say that 173,807 solar jobs is 0.13% of all U.S. jobs. Realist…whether you like it or not, solar is making progress and continues to be a growing trend. Re subsidies, you might want to take a look at the subsidies provided to the oil and gas industries. The top 5 oil companies received an estimated $2.4 billion in annual tax deductions in the form of tax subsidies. Senator Menendez (D-NJ) had introduced a bill to remove these subsidies (The Repeal Big Oil Tax Subsidies Act) but it was shot down. As long as $ buys legislation, truly free markets will be a dream. the article is about how Solar Sector is growing and it exactly does that. Not sure what your point is. If you simply saying that coal and oil is a better industry to be or technology to depend upon, just say it, but that’s not the intend of this post per my reading. All I know is that some coal company common stocks are 80% off their highs, which is bizarre for an essential commodity in an up economy.